It's the bloggers' turn to school you on this cool trend. 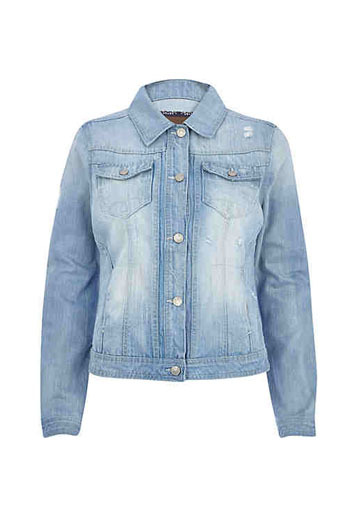 Denim is obviously one of the most versatile pieces of clothing that you can find inside your closet. No matter what your personal style is, there is so much you can do with it. And seeing that there are so many ways to wear denim, why settle for one when you can wear two pieces in one look simultaneously? Now that you already know how our local celebrities sport double denim, it’s time you learn from the country’s top bloggers. 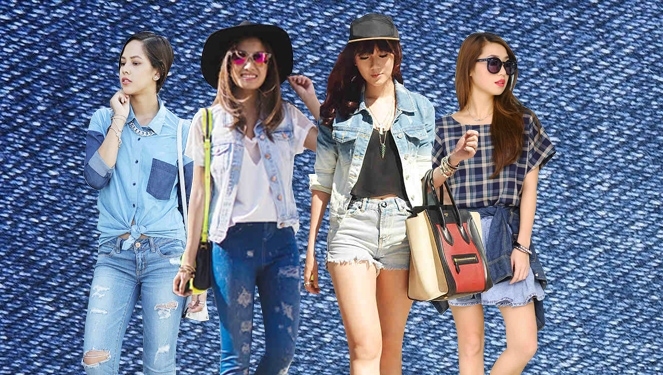 Scroll down and check out these denim-on-denim ensembles care of Laureen Uy, Camille Co, Patricia Prieto, and Kryz Uy. Combine basic wardrobe pieces and what do you get? A cool outfit that’s easy to put together! All you need is a black cami, your trusty jacket, denim cutoffs, and a pair of cute flats to cop Camille Co’s easy breezy look. 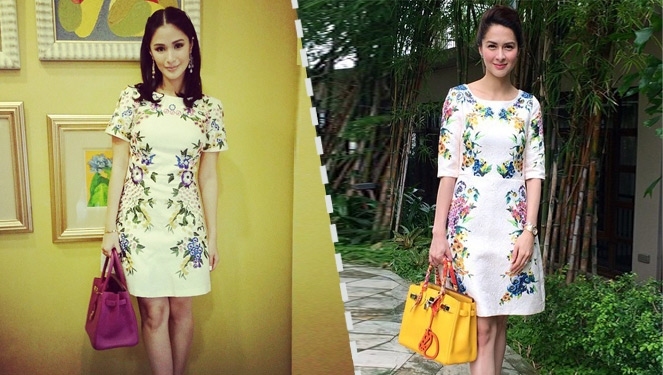 We can always count on Kryz Uy to come up with a girly twist on her outfits. How about a denim skirt instead of your usual jeans? 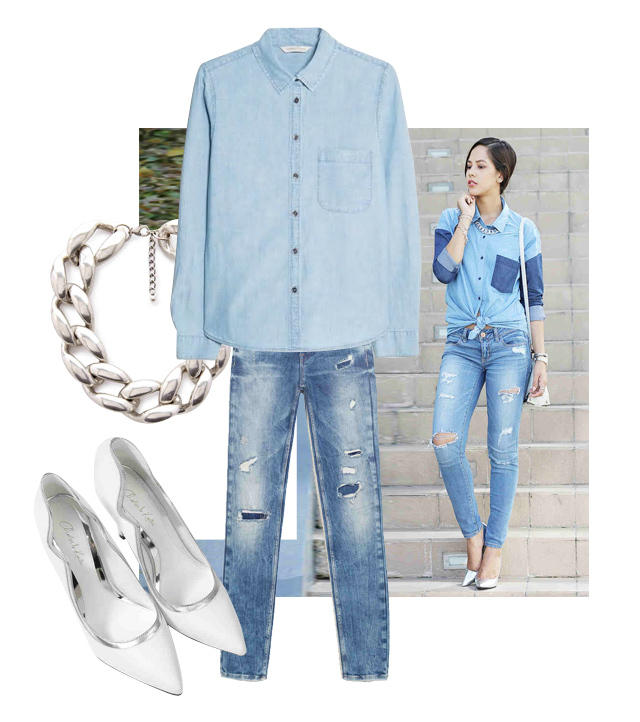 Wrap a chambray buttondown around your waist and your double denim look is good to go! Looking hip doesn’t have to be overthought. Like Laureen Uy, you can pair your favorite pair of jeans with a plain white tee. Add character to your look with a denim vest and you’ve got yourself an effortless streetstyle outfit right there. Denim shouldn’t be synonymous to looking underdressed. Take style notes from Patricia Prieto on how she accessorized and opt for a pair of pointy pumps to instantly turn your ensemble from laid-back to chic. Want to cop these top bloggers' double denim ensembles? Click on the gallery to shop the looks.